Martial Arts classes use positive reinforcement. 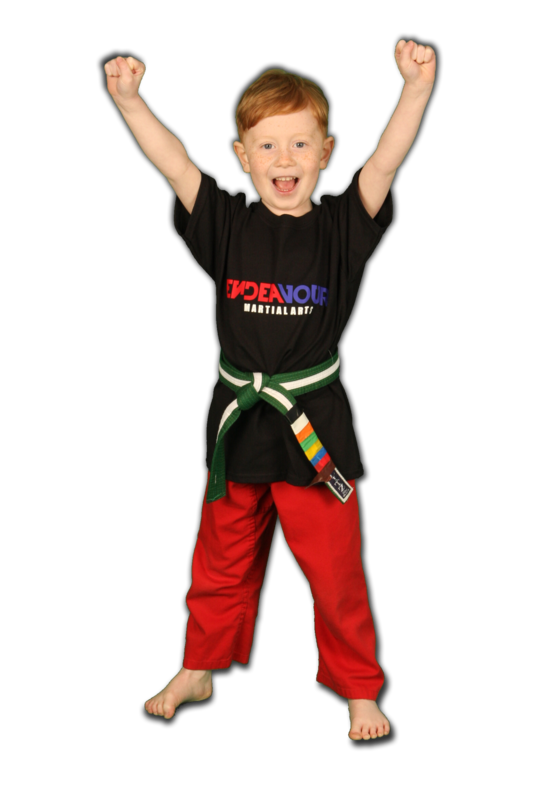 Instructors bring out the best in kids by identifying strong points and effort. Kids get feel great about themselves each time they experience classes. Students practice things they are good at so they find a sense of pride. They are then given increased challenges. Their confidence increases as they discover they can accomplish more difficult drills and moves. Instructors are good finders and remind students of their abilities. Martial Arts has three rules. 1. Have fun. 2. Try YOUR best. 3. Improve every time. These rules are used to ensure kids compare themselves and their progress with themselves. Kids spend time on positive things including exercise, fitness, eating healthy and becoming a leader. Kids pitch in to support one another in class and to help beginning students. This makes them feel worthy and important. All steps lead to Self esteem. Kids with good self-esteem are more likely to try again. They expect to do better next time – and usually they do!